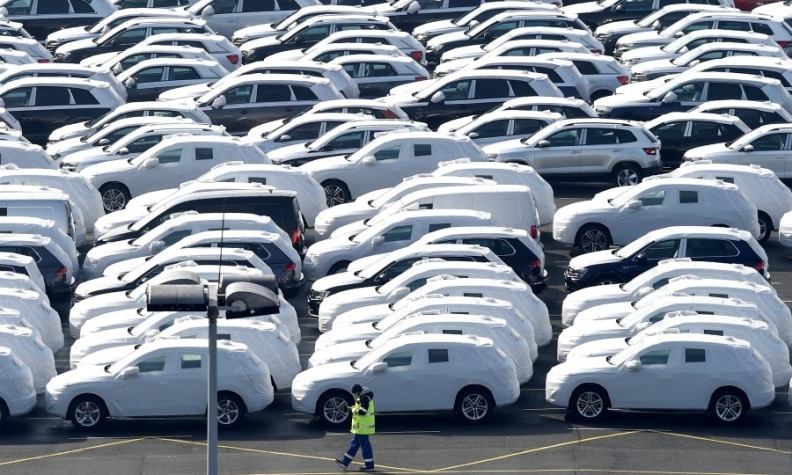 BERLIN - German Chancellor Angela Merkel said on Thursday she would back lowering European Union tariffs on U.S. car imports, responding to an offer from Washington to abandon threatened levies on European cars in return for concessions. However, she added EU tariff negotiations required a "common European position and we are still working on it." U.S. President Donald Trump threatened last month to impose a 20-percent import tariff on all EU-assembled vehicles, part of a tough line on trade that has raised tensions across the world and which could upend the EU industry's current business model for selling cars in the United States. The U.S. ambassador to Germany, Richard Grenell, has repeatedly met with executives of German carmakers Volkswagen, BMW and Daimler and automotive suppliers including Continental, most recently on Wednesday, to discuss the issue. A spokesman for the embassy said no formal offer on tariffs had been made, and that Grenell's goal was rather to explore the options for a wider transatlantic trade agreement. "That is an ongoing process," the spokesman said. VW, BMW, Daimler and Continental declined to provide details of Wednesday's discussion with Grenell. "I would be ready to support negotiations on reducing tariffs, but we would not be able to do this only with the U.S.," she said.